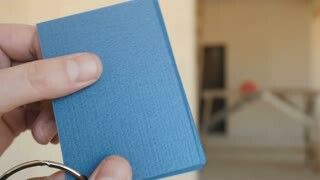 Close-up of diverse multi ethnic hands selecting colors for interior design from samples palette in office. 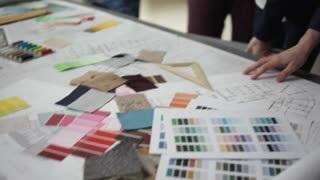 Creative team of architects choosing colors for building renovation and discussing project. 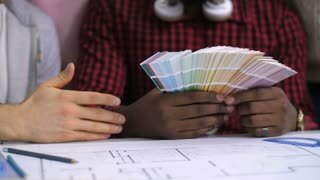 Multi ethnic team of diverse architects choosing colors from swatch palette for building decoration in creative office. 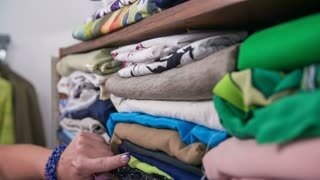 Positive multinational interior designers discuss colors for design renovation.